Jaded Blossom: Guest Designer Christine! For my project, I made this adorable castle treat box. I made the actual treat box myself. I cut the castle out using the Once Upon a Pricess Cricut Cartridge. I then stamped a mixture of Royal Candies and Villain Candies (the Villain Candies are on clearance for $6 so go scoop them up!). These are SO fun and so easy to do. 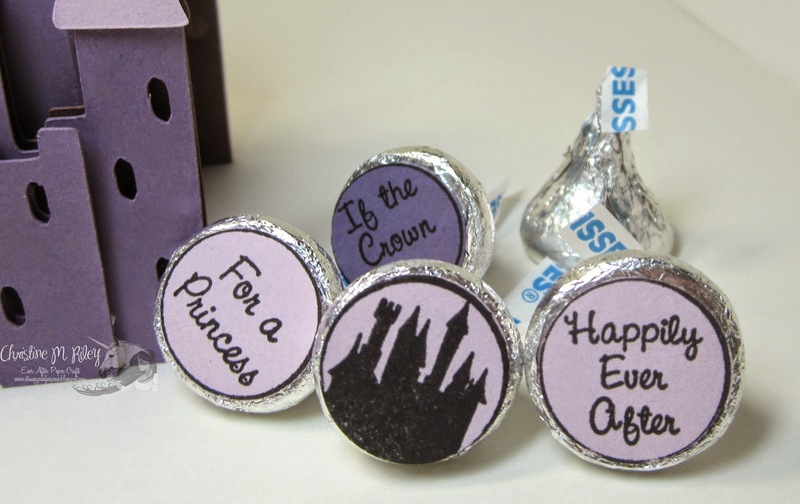 Just stamp them onto your cardstock, punch them out with a 3/4" punch, and then adhere them to the base of your Hershey Kiss candy using either Glue Dots or Scor Tape or some other adhesive of your choice. It's really that simple and it really spruces up a homemade treat :) Thanks so much as always for stopping by. I hope you enjoyed my project and make sure to check out Jaded Blossom Stamps, they are fabulous! :) Hugs! What a cute treat box! And Love the color! So adorable! And agreed for unlimited funds! Great castle treat box. Love it. That castle box is AMAZING! I love the depth and layers! 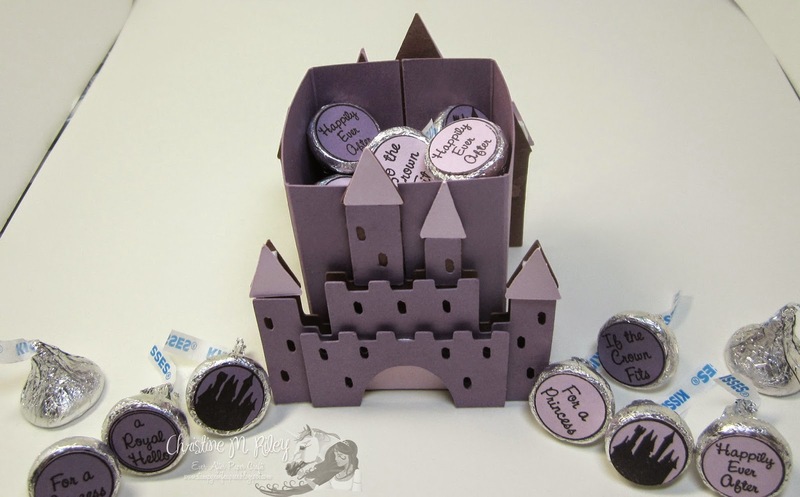 The candies are wonderful and I love how they're themed to go with the castle! So pretty! Love this castle with the candy stamps you picked out. How great is that!? Love it! Wonderful details! Very cute! I agree with you on the unlimited funds! If only, right? 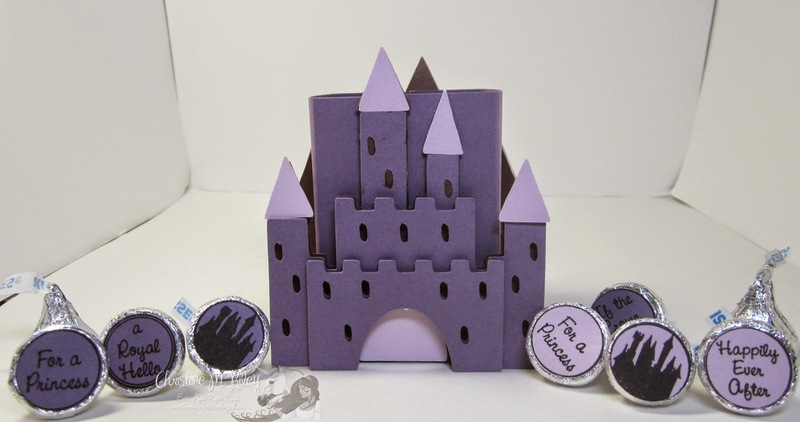 Cute castle box. Love that you gave it lots of dimension with popdots. Wow the castle is super cool! Very neat project! Fun castle for any little princess. Fantastic detail and perfect for any little girl. Awesome job!! Love the color! Perfect for any Princess! Love it!